The UT Administration has sought Rs 5,530.79 crore from the Centre under the 12th Five Year Plan, about 159 per cent more than it had asked during the previous plan. Now tipplers caught driving on Panchkula roads will now have to sit in court till it rises and also cough up Rs 2,000 as fine, double the amount charged earlier. The UT police has filed a chargesheet in court in an accident case involving golfer Jeev Milkha Singh’s Range Rover in October last year. The detailed chargesheet names Milkha’s driver Ramkumar as the accused while the name of the woman who was an accused as per the FIR has been dropped from the chargesheet, raising a question mark on police investigation. In an order issued today, the Police Complaint Authority (PCA) has recommended action against a Sub-Inspector posted at the Sector-3 police station for gross abuse of power and for unnecessarily harassing a retired Army officer. The PCA has ordered transfer of the SI to the police lines and initiation of a departmental inquiry against him. In another order passed on the complaint of Colonel (retired) Amardeep Singh, the PCA has recommended a departmental inquiry against Chandigarh Police Sub-Inspector (SI) Rajiv Kumar, who was posted with the Economic Offences Wing (EOW) of the police for registering a false case of cheating. Setting aside all norms and procedures, the UT police went out of its way to allow the crew of a Punjabi film, “Aaj Ke Ranjhe”, comprising 60 persons to shoot for an entire day at its training grounds, which is a sensitive area. The Municipal Corporation has decided to reduce the fee for issuing birth and death certificates to residents of the city. Lord Mayor Keiran Mulhall, Coventry, UK, along with Lady Mayoress Jane Barlow and Harjinder Singh Sehmi, councillor of Cheylesmore Ward, held a meeting with Municipal Corporation Mayor Raj Bala Malik regarding the study tour today. Municipal Corporation Mayor Raj Bala Malik today constituted two committees, including the malba bye-laws committee and water-saving committee. 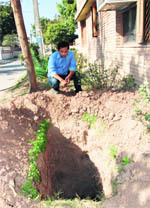 While the issue of sharing water from Phase V and VI Kajauli water works between Chandigarh and Mohali is being heard in the Punjab and Haryana High Court, the Greater Mohali Area Development Authority (GMADA) has allocated the work for laying of the pipeline that would bring 80 MGD of water. The project was already running behind schedule due to change in the decision to increase the capacity of the pipeline from 40 MGD to 80 MGD. It seems that the cash-starved Mohali Municipal Council is not bothered about the conservation of its resources, if the operational streetlights during the daytime in Sector 68 are any indication. For the past four days, the streetlights at a locality of houses, behind the MC building remain lighted throughout the day. The residents said they have complained to the MC in this regard. The Entrepreneurship Development Cell (EDC) of PEC University of Technology, in collaboration with the ICICI bank, launched a program today for budding engineers to help them realise their dreams as innovators and entrepreneurs. The function was held at the PEC auditorium. Eminent scientist Dr KK Bhutani, Director, National Institute of Pharmaceutical Education and Research inaugurated a two-day national conference on “Plants and Microbial Biodiversity, Present Scenario, Threats and Conservation Strategies” at the Botany Department, PU campus, here today. Bhartiya Janta Party (BJP) and Haryana Janhit Congress (HJC) held a protest outside Mini Secretariat Complex in Sector 1 over various demands raised by both the parties. BJP state president Krishan Pal Gujjar submitted a memorandum to Panchkula city magistrate, Ashwini Malik. 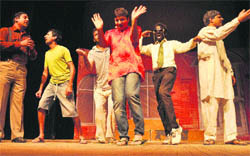 The four-day TFT Basant Theatre Festival organised by the Theatre for Theatre Institute in collaboration with the Ministry of Culture, Government of India, concluded with the staging of a Punjabi comedy play “ Jinney Jhalley Merre Palley” at the Randhawa auditorium here today. Chandigarh, March 1 115 challans were issued to encroachers today during a special encroachment drive carried out by the enforcement wing of the Municipal Corporation in the Industrial Area Phase-II. 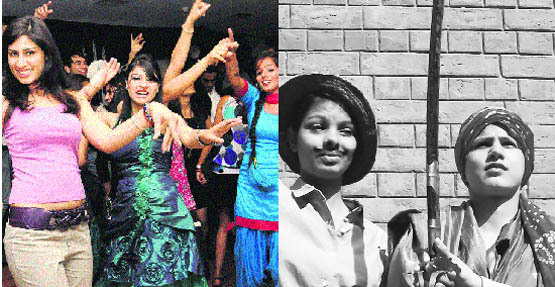 The CBSE exams for class XII began today with students appearing in the English exam. According to experts, the students had a good start as the question paper was relatively easy. 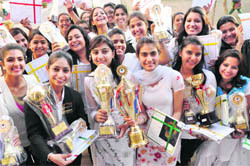 The 56th annual prize distribution function of Post Graduate Government College for Girls, Sector-11, was held today. The students were awarded prizes for excelling in the fields of academics, sports, and co-curricular activities. A two-day national seminar titled ‘Perspectives on Subjectivity’, organised by the department of philosophy, Panjab University, started at the ICSSR Complex today. The first day of the seminar was inaugurated by Dr BS Brar, DUI, Panjab University, and was presided by rofessor Emeritus of the department, Dr Dharmendra Goel. People of Dera Bassi are facing lack of facilities in the Civil Hospital, Dera Bassi, because the hospital could not get the status of sub-divisional hospital till now. Though the political leaders and the concerned officials had promised to upgrade the hospital but these were not implemented. In the absence of the sub-divisional hospital, there was lack of doctors, blood storage unit and other medical facilities. It continued to remain as community health centre with only 30 beds. Divisional Commissioner, Patiala, SR Ladhar, took stock of the counting arrangements made by the district administration for all the three Assembly Constituencies, Fatehgarh Sahib, Bassi Pathana and Amloh falling in the district and inspected the strong rooms, where the EVMs had been kept at Mata Gujri College Complex, here today. The counting would take place on March 6 for all the three Assembly Constituencies at the local Mata Gujri College. Resentment prevails among thousands of daily commuters, as the link roads of Kalka, which fall under the railway department has been turned into a deplorable state for the past couple of years due to apathetic attitude of the department of the IOW (Inspector Of Works). A conference on interstate crime and coordination was organised at Ambala City here today. The conference was inaugurated by the police Commissioner, Ambala range, AK Dhull. The senior police officers of Punjab, Himachal Pradesh, UP and Chandigarh took part in the conference. An army man committed suicide by hanging himself in the motor garage yester evening at Ambala Cantonment. In a significant judgment, the Punjab and Haryana High Court has ruled that compensation to be paid by the insurance companies in accident cases is to be calculated regardless of the financial assistance received from the state under its compassionate assistance policy. 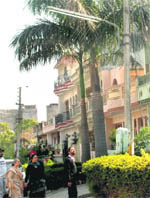 The Supreme Court has fixed March 19 for the hearing of Panchkula municipal corporation case. Last year, the Supreme Court had stayed the Punjab and Haryana High Court’s order wherein the High Court had quashed the notification for the formation of the Panchkula municipal corporation. The Punjab and Haryana High Court today dismissed a petition seeking directions to quash the notifications through which the union government has some control in the affairs of Panjab University. The Additional Session Judge, Mohali, sentenced two accused in a case of the NDPS to two years of rigorous imprisonment and Rs 5000 fine, here today. 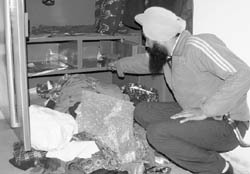 Burglars struck at three places in Shahi Majra village during the wee hours on here on Thursday. Two shops of mobile accessories and a house were burgled during the incident. An assistant professor at Chandigarh Group of Colleges was seriously injured after being attacked by some unidentified youths. The incident occurred outside the college premises at Landran, last evening. The Panchkula police has arrested a man who had allegedly targeted 10 shops on a single night in Panchkula in December last. 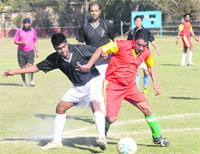 Blue Star Football Club defeated Golden Football Club by 3-1 on the second day of the Chandigarh Senior Men’s Football Championship at the Sector 17 football stadium here today. Indian off spinner Harbhajan Singh will lead Punjab in their knock-out campaign in Vijay Hazare Trophy starting at Delhi next week. The team will leave for Delhi on March 3. The Chandigarh Health and Wellness Association (CHAWA) will organise a Charity Golf Tournament at the Chandigarh Golf Club on Saturday. The tournament will be inaugurated by Union Territory Home Secretary Anil Kumar. Bhavna bagged the gold medal in 100m race held during the athletics meet of Surya World held at the college campus here today. The meet was organised as a part of the week-long activities under Surya World Week-2012 being held from February 27 to March 3. More than 300 students from various courses participated in the event.